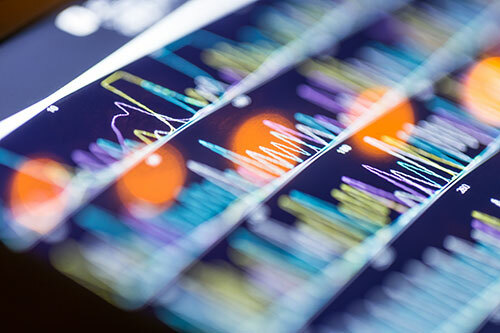 The European market for next-generation sequencing (NGS) informatics is set to more than double by 2021, driven by the data deluge resulting from falling sequencing costs, electronic health records, and wider use of data in clinical interpretation, according to a new report by Frost & Sullivan. “Growth Opportunities in the European Next-generation Sequencing Informatics Market, Forecast to 2021” projects the that the market for European NGS informatics will balloon from $236.6 million in 2016 to $508.6 million by 2021. Growth of NGS infrastructure by Wellcome Trust Sanger Institute and other institutions, along with a growing workforce and increased government support. However, three challenges remain toward the growth of the European NGS informatics market over the next five years, Neelotpal Goswami, senior industry analyst, transformational health with Frost & Sullivan, told Clinical OMICs. NGS informatics companies must move toward offering end-to-end services through solutions that need to be customized for biopharma and diagnostics firms, Frost & Sullivan concluded. As providers expand those services, the report added, they are more likely to enter collaborations—or pursue M&A by acquiring companies or being acquired by larger players. Frost & Sullivan identified nine such companies ranging from giants such as Illumina and QIAGEN, to up-and-coming companies such as BC Platforms, Bluebee, Congenica, Eagle Genomics, GENALICE, Genestack, and Sophia Genetics. “NGS is a comparatively recent technology with significant applications still in the development stage. The commercial success of its application across biopharma and diagnostics is still being assessed,” Goswami said. Goswami identified three unmet service needs that NGS companies will be looking to address. First, analytical pipelines offered by NGS vendors are often limited in matching the clinical development needs of pharma and biotech companies. The databases available with vendors for analysis and interpretation are still being developed and/or upgraded to match the needs of pharma and biotech companies. Additionally, features such as dashboards and analysis models have yet to be standardized across vendors. As a result, Goswami added, the research teams of biopharmas are struggling to migrate from an internal/do-it-yourself (DIY) platform to an external NGS interpretation vendor. With primary and secondary analyses moving toward automation, Frost & Sullivan observed, market growth for NGS informatics will be propelled by tertiary analysis or interpretation. Frost & Sullivan says five areas are likely to account for the growth of tertiary analysis in coming years: Precision medicine, growth in end-to-end services, big data, growing use of multiple omics technologies or “multi-omics” to shows how genetic and non-genetic factors interact, and novel end users.